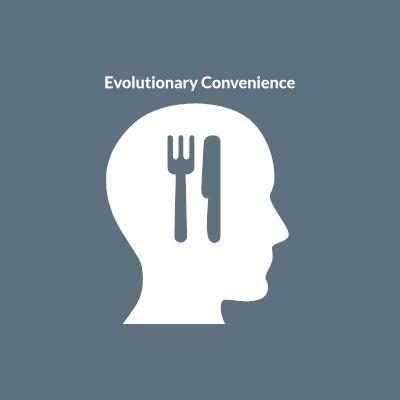 Evolutionary Convenience is implicit branding to the way we think, operate, and achieve. It's not to say we know more or successful startup advisers are wrong to suggest be great at one thing, but it is a challenge to a previous way of thinking. The most complex tasks are getting simpler everyday. Why can't we leverage accelerated innovation to evolve into greatness in multiple products and services? The one thing we will be great at...knowing who we are. As we develop content for our blog we will take on a variety of perspectives and insights, all of which we believe connect to our brand in some way. Staying competitive today both personally and professionally is more difficult than ever. For most, however, for all we do to compete, inaction is our biggest competitor. I recently had a conversation with someone who worked for me approx. five years ago and five years later they still are singing the same tune with their situation on the job. Worse yet, taking zero action to change their own circumstances. Understandably, there are legitimate factors contributing to some people's inability to take action, however, my point of emphasis to them is change your mindset. The positive outlook likely will create the change you seek, maybe not as soon as you like but stay consistent. You know the brands...Google...Coke...Kleenex, brand recognition so strong they are the name for the product or action. Any company salivates at this... building something so powerful. Most are realistic. I created the brand Evolutionary Convenience because it does represent something much bigger than a single product or service, it's a vision for action. Short of any religious beliefs, Evolution is Convenience. relating to a pattern of movements or maneuvers. "evolutionary tactics"